Parents may not even know their child has heart issues. Just last month, a child in Fountain Hills, Arizona, suffered a cardiac arrest, with a teacher saving the middle school student. The incident reflects the results of a new study from the University of North Carolina showing cardiac arrest among young people is rising nationwide. According to the American Academy of Pediatrics, as many as 2,000 young adults under 25 years old die of sudden cardiac arrest each year. Dr. Timothy Byrne is an interventional cardiologist with Abrazo Arizona Heart Hospital and says in almost every case where a child or teen collapses from a cardiac event, congenital heart disease was undiagnosed. Byrne has been the team doctor for the Phoenix Suns for 29 years and says every player gets an annual echocardiogram just to be sure they're safe to play. 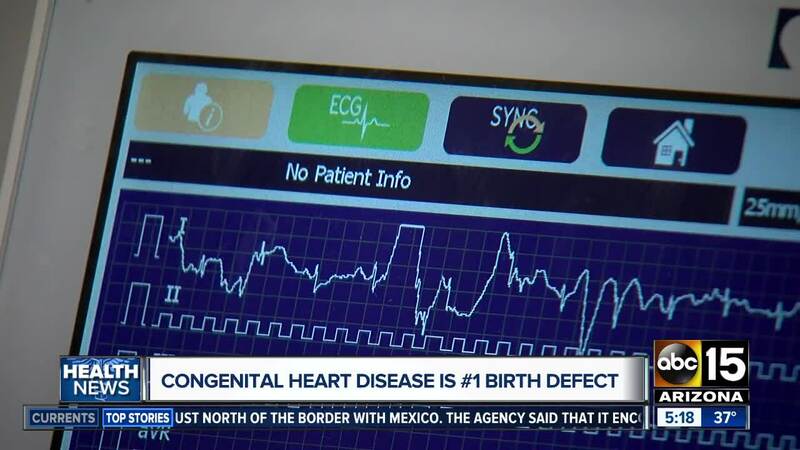 He says that isn't standard when kids get a physical but maybe it should be, especially for those with a family history of heart disease, as 50 percent of kids will inherit it. 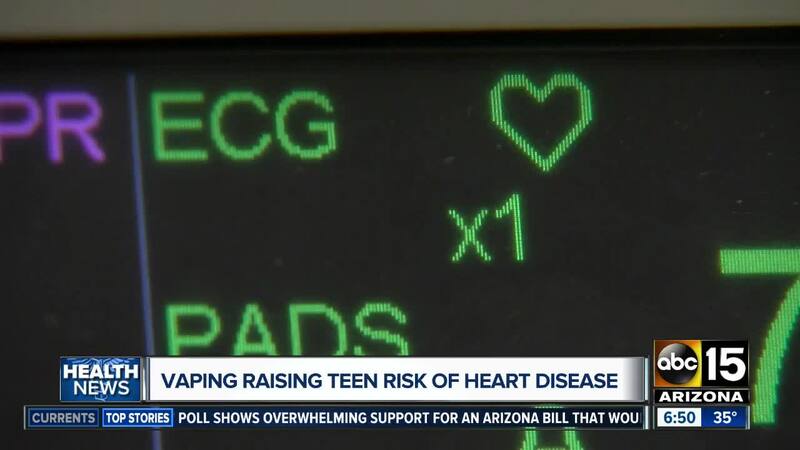 "If all the kids have an EKG, that's the most powerful predictor of whether there's an issue or not," Byrne said. Congenital heart disease is the number one birth defect, affecting one in every 100 births, yet many parents don't know that. It was never a topic of discussion for Kellie Miller during her first pregnancy, but when she went for a 16-week checkup for her second child, the nurse spotted a problem with blood flow. Her son, Luke, was born with several heart defects and would have open heart surgery at just 16 days old, then again as a toddler. "That's the hardest thing — to see your child lying there with all those tubes and wires coming out," Miller said. It may not always feel like it, but the Millers were lucky they caught the problem early. With proper care, Luke is now an active 5 year old and will continue to thrive but he'll never be cured. "His heart could fail ... that's the worst case," Miller said through tears. Genetics is only one risk factor for heart attack and cardiac arrest. Bryne says obesity, high blood pressure and tobacco use also increase the risk. And on that last note, he says with more teens vaping, they are increasing their risk for a premature death as young adults. The U.S. Centers for Disease Control and Prevention says 42 percent of kids have vaped or at least tried vaping in high school. Byrne says even in smaller amounts, the number of teens ingesting nicotine through vaping is skyrocketing and with it, so are the risk factors which can lead to stroke or heart attack. "That's a very high concentrated, very addictive nicotine intake," said Byrne. "It clamps down on the coronary arteries and the blood vessels." Adults — men 55 years old and younger and women 65 years old or younger — should talk to their doctor about a cardiovascular screening evaluation if there is a family history of heart disease, if they are obese, have hypertension, high cholesterol, diabetes or smoke. The screening should include a physical, EKG and a treadmill stress test in patients older than 40.